Christendom recently established a new scholarship, the Michael J. McGivney Annual Scholarship, which will be restricted to qualified Christendom students who are children of members of the Knights of Columbus. In response to Pope Benedict’s decree last March 16, which recognizes formally the heroic virtue of the “Venerable Servant of God” Father Michael J. McGivney, founder of the Knights of Columbus, “We were looking for ways both to honor Fr. McGivney and to build up the popular relationship between Christendom and the Knights of Columbus,” said President Timothy O’Donnell. 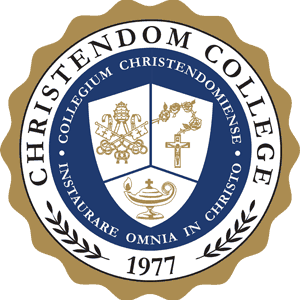 Christendom plans to award its first McGivney Scholarship in the Fall term of 2009. Questions about how your council may support the Michael J. McGivney Annual Scholarship may be directed to VP Ciskanik at 800.877.5456, ext.1250.